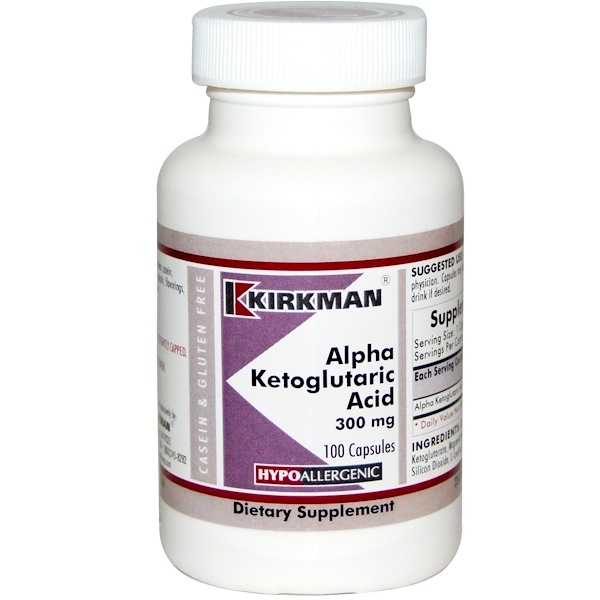 Kirkman’s Alpha-Ketoglutaric Acid is formulated especially for individuals with special requirements and sensitivities. 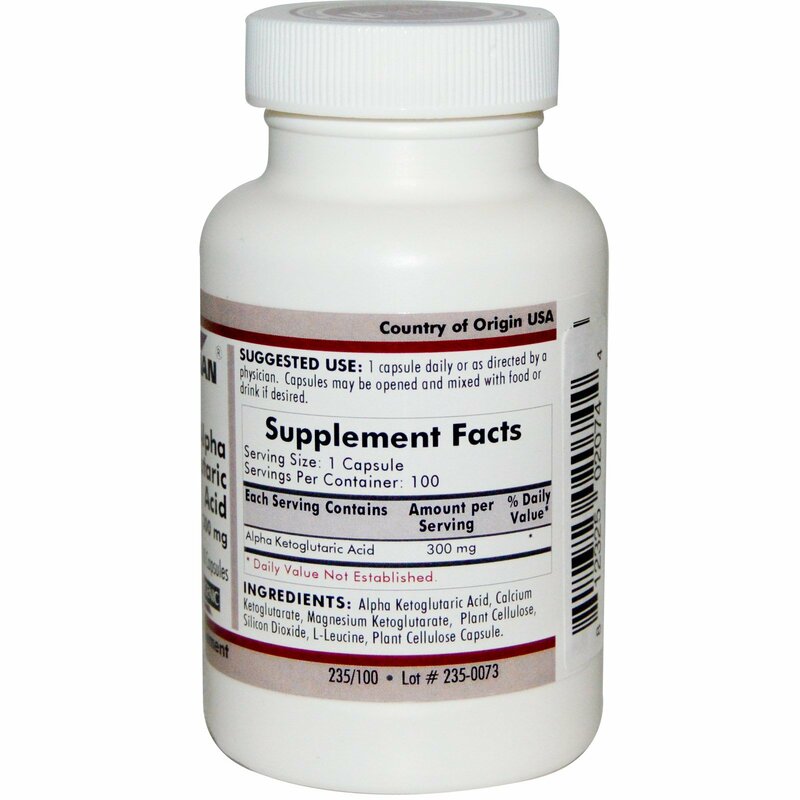 This product is often recommended by physicians because it is a buffered product that doesn’t produce excess acidity. Alpha-ketoglutarate is the salt form of alpha-ketoglutaric acid that binds to other substances. For example, calcium alpha-ketoglutarate is alpha-ketoglutaric acid bound to calcium. By itself, alpha-ketoglutaric acid is a strong organic acid, and taking it by mouth can upset the stomach or irritate the esophagus. Kirkman has solved this problem by blending alpha-ketoglutaric acid with its calcium and magnesium salts to produce a "bi-element buffered alpha-ketoglutaric acid" that will not produce excess acidity. This nutrient can be taken with meals or away from meals. The hypoallergenic capsule can be swallowed or opened and the powder mixed with fruit juices or food. It has a pleasant, citrus-like taste. 1 capsule daily or as directed by physician. Capsules may be opened and mixed with food or drink if desired. Alpha ketoglutaric acid, calcium ketoglutarate, magnesium ketoglutarate, plant cellulose, silicon dioxide, l-leucine, plant cellulose capsule. Free of: Sugar, starch, soy, wheat, casein, gluten, milk, preservatives, yeast, gelatin, flavorings, colorings, fish, peanuts or tree nuts.